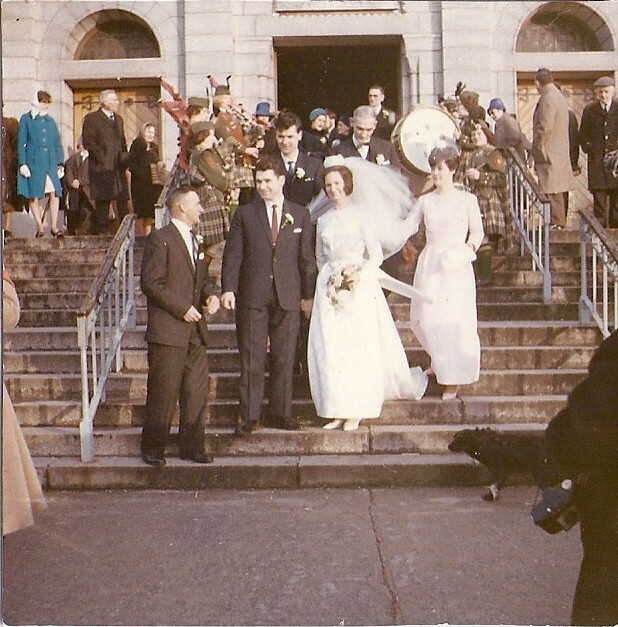 These beautiful photographs were sent in by Veronica O’Sullivan and with the kind permission of her sister. 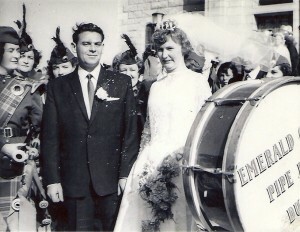 Veronica tells us that ‘This is the wedding of my sister in the 1960’s. 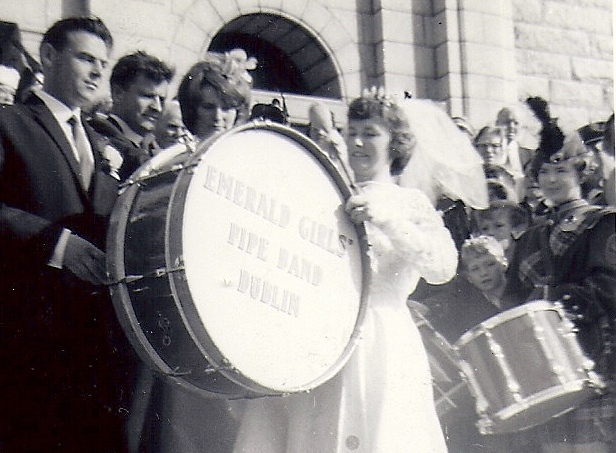 We were all members of the Emerald Girls’ Pipe Band. At one time there were about nine Cabra girls playing with the Band including us.